To your left and right you see a typical view of partiview. The top two rows contain some buttons and sliders, below that is a scrolling log window in which you will see your results. The (grey) one line window below that is your command input window. The TAB key will always bring focus back to the command window. The bottom window is your (flat) view into the universe. You will recognize Orion and Sirius (the star with the RGBWWW cross) as well as our sun (the one with just the RGB axes). This picture was taking from a viewpoint slightly "behind" the sun. The "jump" command will show that. The view to the right is a more recent version of partiview where we added time animation control. A page with example movies shows the kind of animations you can also make with partiview. partiview. Manual, available in HTML, Postscript, PDF, text, and SGML; should be dated 25-jun-2002 or later. (see also the LDP Author Guide for tools how to write proper SGML. You can also download a old snapshot of the source code, as it stands now. Version 0.5 released 19-mar-2001. For serious work you probably should get our CVS release (we do have a read-only CVS guest account). See manual for details on how to install them. 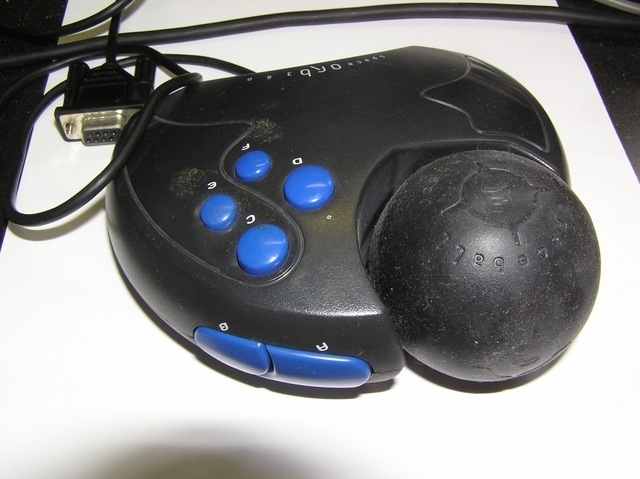 The SpaceTec SpaceOrb 360 which we once planned to use with partiview, but never did. Our good old NEMO and STARLAB packages to make simulations. Here is the manybodybootstrap.csh C-shell script that installs, via CVS, all software modules of the manbody.org software. cvschroot allows you to edit your CVS/Root entries recursively. Also need cvsu. You will probably need it when the CVS archive is transplanted. AstroGRAPE, the new GRAPE web page. manybody.org, our new web site. AstroMD analysis and vizualization package. ( and their ADASS-2000 poster). This page was last modified on by PJT.